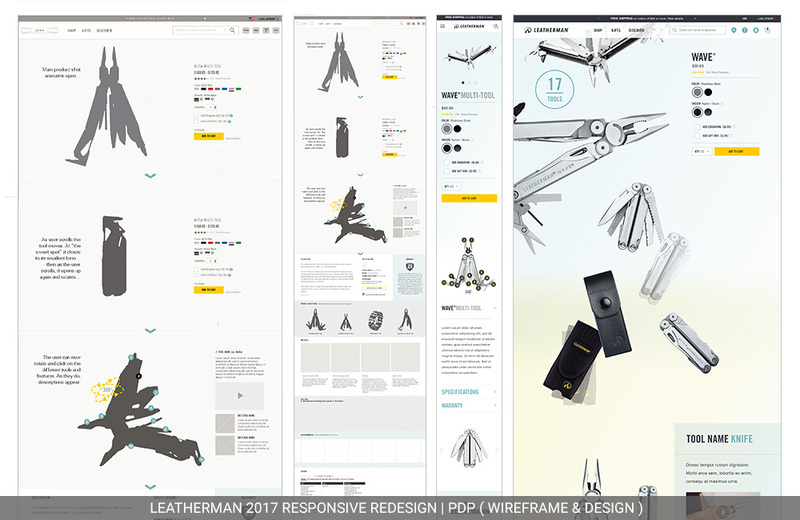 Hired by Swift Agency to work on Leatherman.com as their Senior User Experience designer; assisted in UI design. The brand’s website relaunch is responsive and optimized for desktop, tablet and mobile. 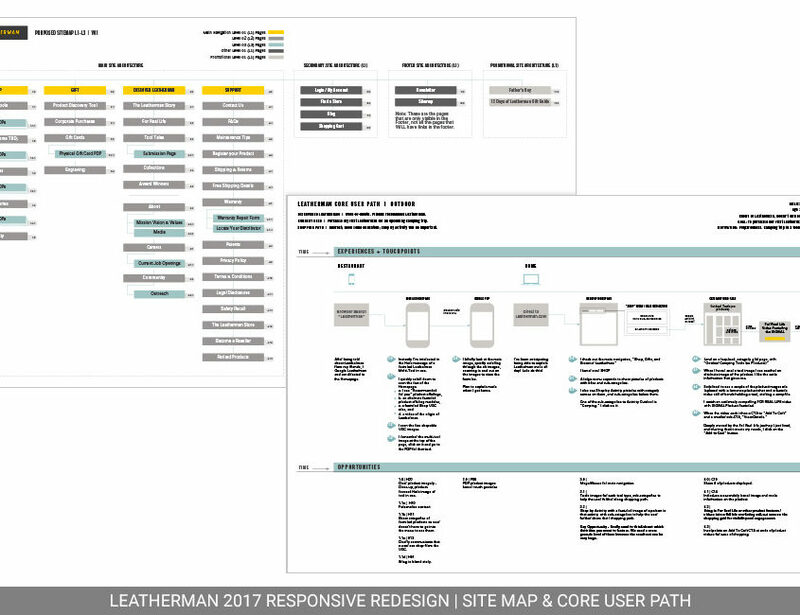 Led site content strategy. 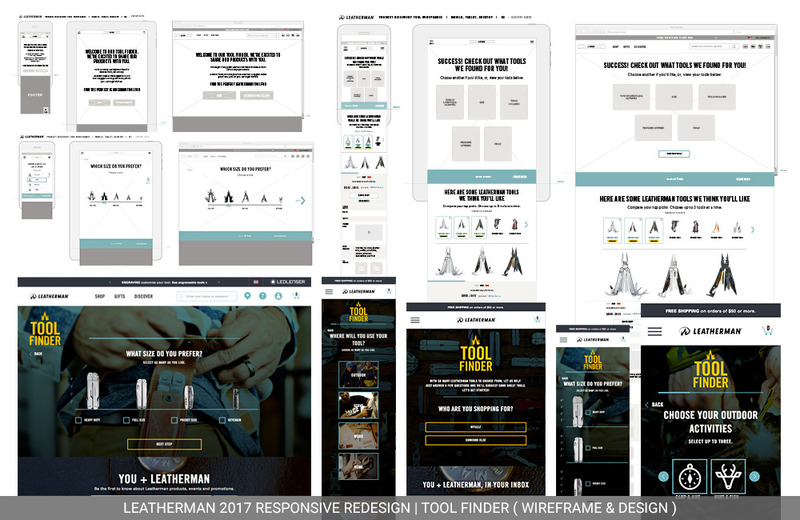 Ran UX workshops and usability testing for Leatherman Tool Group. Researched and gathered Current State information and customer personas. 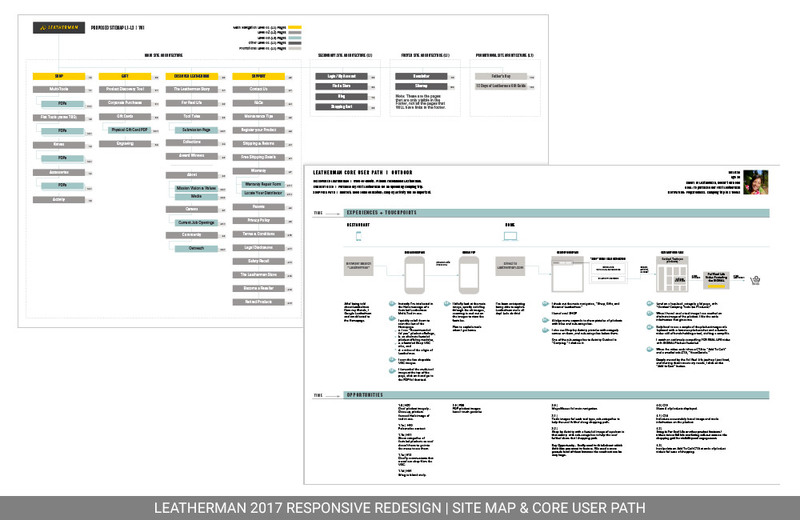 Created Future State website information architecture, taxonomy, site map, and core user paths. 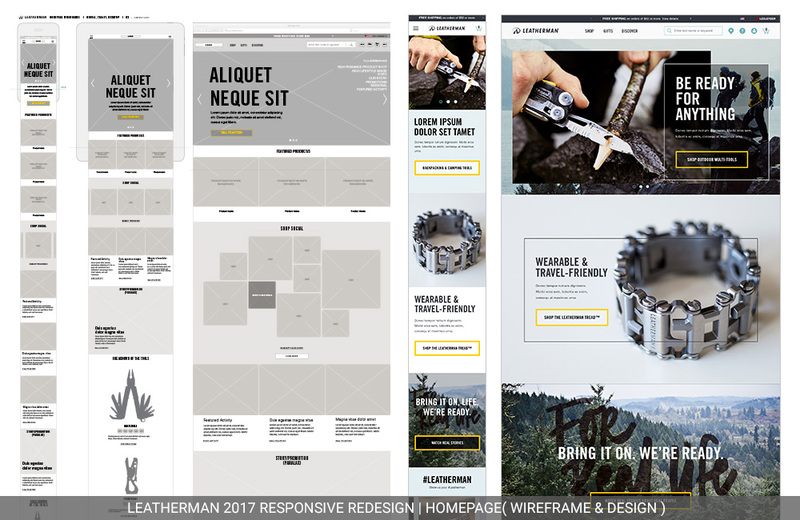 With the site structure solid, implemented eCommerce best practices and UX design for Main Navigation (Header & Footer), Homepage, Product Category, Product Detail Page (PDP), and the Leatherman Tool Finder. 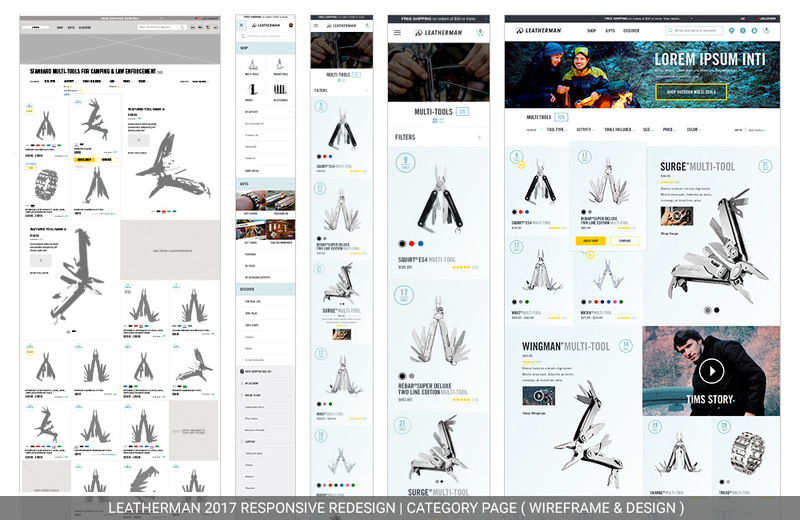 One very cool feature on the PDP is a 3D-360º rotating tool explorer. One can click and drag to see the tool on all x, y and z coordinates while exploring each separate tool in the multi-tools. Check out the Wave Multitool to experience it for yourself!